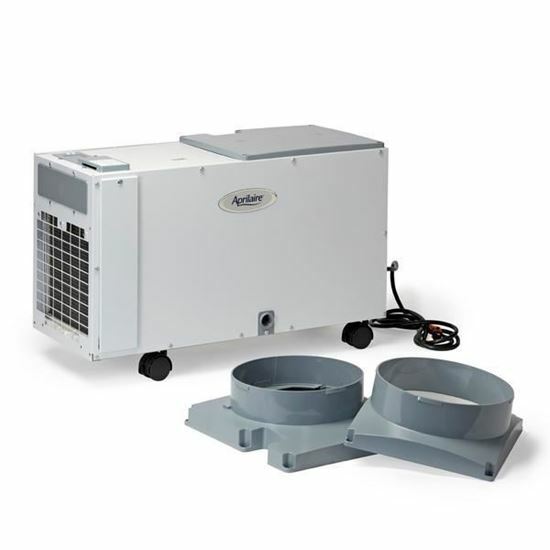 The Aprilaire 1852 Dehumidifier is ideal for dehumidifying your basement or sealed crawl space removing up to 95 pints (11.9 gallons) of water per day. Equipped with castors, it is transferable, or can be ducted to your HVAC system. For your convenience, the control panel can be mounted on the top or side of the unit so it is easy to access in any location. The dehumidifier has a simple to use interactive display making set-up and use a breeze. The Aprilaire 1852 is low maintenance with no messy trays to empty, and simple once a year filter cleaning or replacement.